The new AXIS DR service provides a secure, cloud-based DR solution. Using block-level replication to preserve database integrity, we will replicate your production server to secure cloud storage. 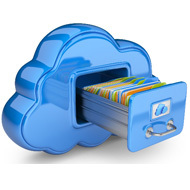 Data is encrypted before it leaves your premises and remains encrypted while at rest in the cloud.